Welcome to our church. 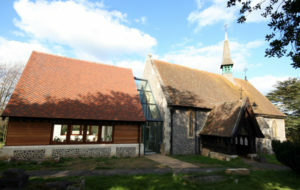 Please feel free to wander around this site and discover more about our building, our history, our worship and our involvement in village life. We hope you enjoy your virtual visit and will come to see us in the real world one day. For a map of where we are please click here. The church is, of course, open to all from 10 am on a Sunday morning until around 12.30. Please join us for worship and coffee and biscuits afterwards. On the final Friday of each month we open our doors for an informal coffee morning when we serve tea, coffee, freshly baked scones and cakes. If you would like to visit the church, please contact one of the churchwardens and we will arrange to open the church for you. Whether for private prayer and reflection or to visit this beautiful historic monument, you are most welcome.